In the late 90s, four friends found giving at an all-time low. Wanting to reverse the trend, they met with people who were living radically generous lives to find out what compelled them to give. They discovered something unexpected. Everyone they talked to seemed to experience true joy in their lives as a result of giving. The friends knew they had to share this idea with others. So, they started guiding people down the path of biblical generosity. What started as a conversation amongst friends has since spread into a global movement of generosity. Daryl Heald, one of those four friends, has helped steer this movement over the years. Growing up in a missionary home, he remembers times when there would be no money in the bank, so he would pray with his family and God miraculously provided. Heald has seen God’s abundance bring joy to those in need and to those who give. Heald began his career as a commercial real estate broker in Atlanta, Georgia. He remains involved in many private equity deals with a particular emphasis on businesses with social impact. He now spends the majority of his time encouraging affluent Christians in the global financial capitals to be generous. He has worked with wealthy families on around the world with their philanthropy. Daryl began his career as a commercial real estate broker in Atlanta, GA. In 1997 he joined the Maclellan Foundation serving on the executive committee and helping to lead its global grant-making strategy. Lee served as the Chief Operating Officer of Generous Giving before joining the staff of Generosity Path in 2015. Lee also serves at the Maclellan Foundation, which he joined in May, 2006. Cameron had a successful career in management consulting with Corporate Executive Board (Acquired by Gartner, NYSE: IT) where he launched products for finance and legal executives at the world’s leading companies. Lucy is the Global Operations Coordinator for Generosity Path and is based in London. Lucy has a background in languages however has spent the last five years working with frontline domestic violence services. Catherine desires to see God's people being generous not only with their resources, but with their prayers as well. She is an intercessor for various ministries, including Generosity Path. Achilles serves as a Local Partnership Director for East Asia. 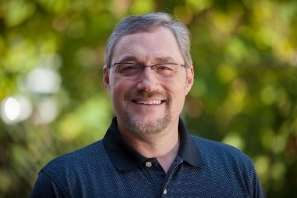 Mark serves as a Local Relationship Coordinator for East Asia. Kay has served and serves on the boards and leadership of a number of non-profits (NGOs), churches and companies. Generosity Path operates globally, sharing the biblical message of generosity. We help those whom God has entrusted with much as they host conversations about the joy and freedom that flow from a life generously lived.